What better dessert for Labor Day than a nice bowl of ice cream. I have loved Nutella since I was in high school (ohhhh the late 90's...good times...good times). 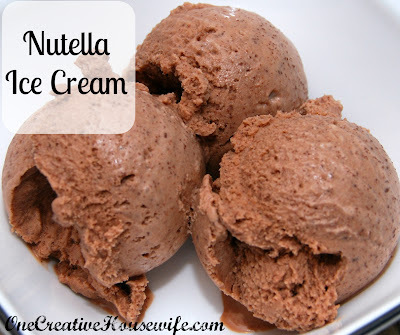 Now my kids love it too, so it is only fitting that I am always finding new recipes to incorporate Nutella into. This ice cream is amazing!!!!! Words cannot describe how good it is, seriously! There are no eggs involved, so it is super simple to make. That is my kind of ice cream recipe. The recipe is from From Away and is perfect just the way they have it. 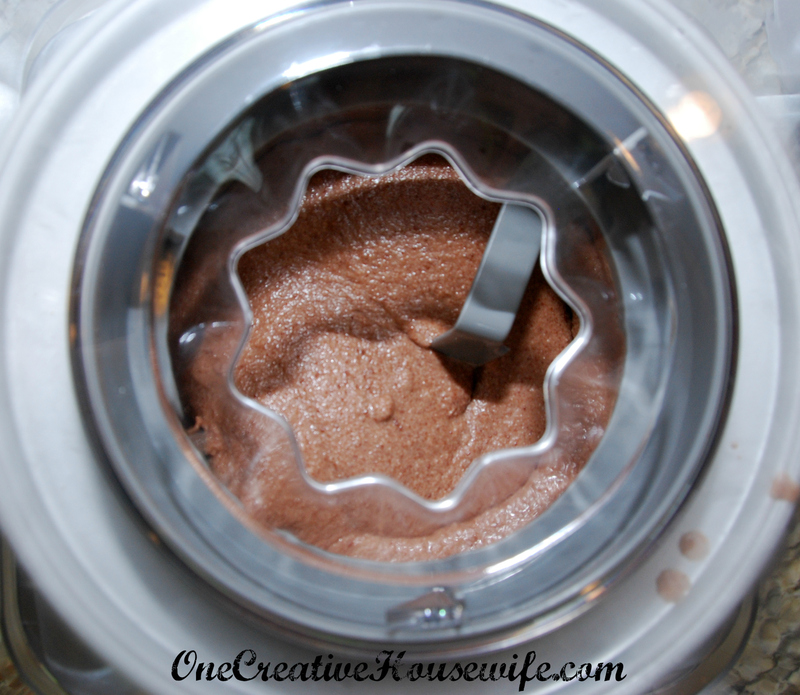 I used my Cuisinart Ice Cream Maker* when making it. 1. Combine all ingredients in large bowl, and beat with electric mixer until thoroughly combined. 2. Pour mixture into ice cream maker and run according to manufacturer’s instructions.